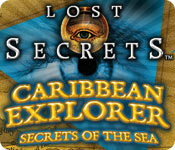 Lost Secrets: Caribbean Explorer Secrets of the Sea is rated 2.2 out of 5 by 6. Rated 5 out of 5 by Snowview from Silly retro fun I totally enjoyed this game even though the graphics were muddy and the objects were all over the place. I can rarely find a goofy, fun game with a good story and this was it. I bought it on a BOGO but after I finished the game would have paid a credit. Rated 4 out of 5 by hislamb2 from Was pretty good I was disappointed on the muddy hard to find screen to play on... and repeated scenes alot, some right away... But liked it ok otherwise. 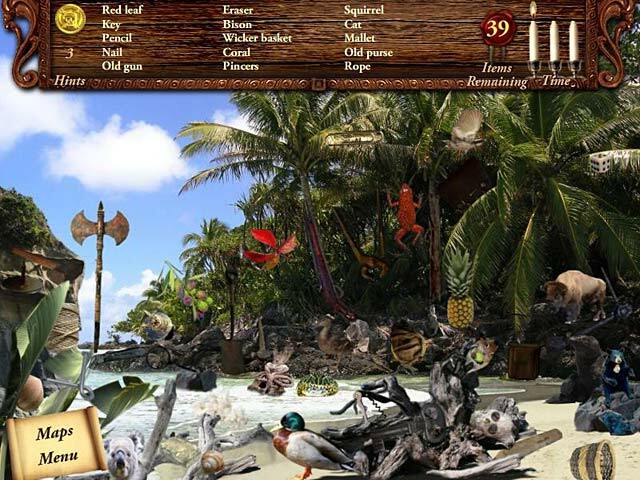 Rated 1 out of 5 by Skyfox37 from Back To The Drawing Board On several occasions, this game has screens that don't match the items search list. When you click "Hint", a hand is on the top right edge of the screen where no object is. Also, even though I have reinstalled Windows and reinstalled the game, it starts in the middle with a screen that says, "Room completed". When you click OK, the screen goes blank and stays that way even though the music continues to play. You have to hit the Windows key and then desktop and then close the game on the taskbar. This continues even after uninstalling and completely sweeping the registry and hard drive for any keys or files associated with the game and reinstalling again. I don't know why the game won't play properly anymore; it used to play great but not anymore. I know they say not to report technical issues in the reviews, but I believe potential customers have a right to know if a game has a serious, and I mean SERIOUS bug issue. I googled for help and no pages came up, so no one has reported this and no one has come up with a solution. Save your money and buy another game; BFG has lots of GOOD games of which I have bought several. Rated 1 out of 5 by Libellule1958 from Most boring game ever. Graphics are terrible. Hard to find things. No story whatsover. No challenge at all. Rated 1 out of 5 by Rescue_helo from Did you say more HOs ? No improvement in this third installment which is even worse than the previous ones in several respects. The visuals are bad and although the HO Scenes are less cluttered than before, many HOs are nearly invisible. Hints are limited but misclicking doesn't entail any penalty if you are not playing in Timed Mode. 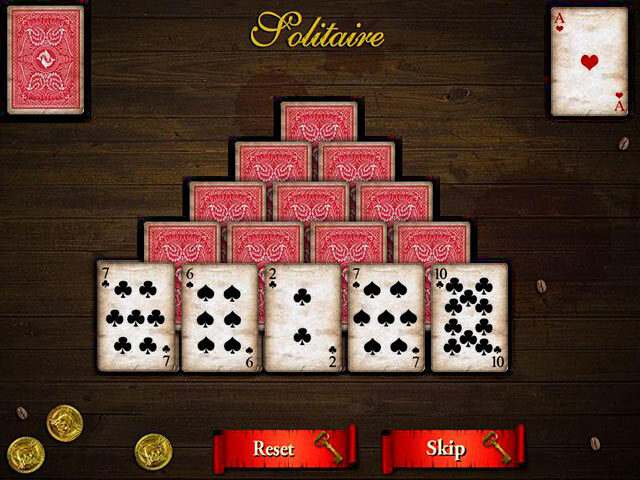 Else it reduces the time at your disposal The minigames are lame and perfectly uninteresting, unless you like card solitaires and dice. 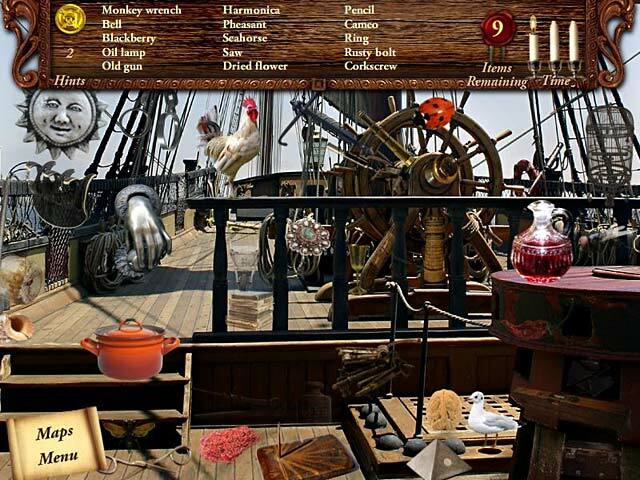 A boring game which does not re-up the image of The Lost Secrets trilogy. Rated 1 out of 5 by Nagasse from A Very Bad treasure hunt This game has the worse graphics possible, the graphics are dull. There is no interesting story line or theme to this game. The objects are uniform in color so that makes them all look the same. It isn't a fun game!